I am a worship pastor, and I love studying the history of Christian music. Throughout the centuries, thousands upon thousands of songs have been written about our faith, and specifically about Jesus, our Savior and the Son of God whom we worship. Many of these songs are about the name of Jesus itself. We sing that there is power in the name of Jesus, that His is the Name above all names, that the name of Jesus is a beautiful name, a powerful name, and the only name strong enough to save. We pray in the name of Jesus, and we do good deeds in His name. When the angel Gabriel appeared to Mary as recorded in Luke 1, he tells her that she would conceive a child that would be ‘the Son of the Most High’ and that ‘he will reign over the house of Jacob forever’. There was no doubt that this was referring to the long-awaited Messiah. The prophets had been silent for 400 years, and through this angelic announcement, the time of silence was not only over, but the words of the prophets were finally being fulfilled. It is also made clear that it was important that this child be named Jesus. Gabriel says to Mary in Luke 1:31, “Behold, you will conceive and give birth to a son, and you are to give Him the name Jesus. The name Jesus was so important that not only Mary was given this instruction, but so was Joseph. Matthew 1:21 tells us that, “she will give birth to a Son, and you shall give Him the name Jesus, because He will save His people from their sins”. The name Jesus is actually an English version of the Greek version of a Hebrew name. Confusing? Not really, once you know how we got there.Here’s how it works: In His time, Jesus would have been known as and called by the Hebrew name Yeshu’a. Yeshu’a is also the Hebrew name of Joshua in the Old Testament, who became the leader of Israel after the death of Moses and led the people into the promised land. Yeshu’a translates into English as the more familiar Joshua. If that is the case, why is Jesus not just called Joshua? The reason is because of the time periods and cultures they lived in. Joshua is translated into English straight from Hebrew, whereas the name Jesus is also translated through the Greek. Unlike Joshua, Jesus lived in a Greek-speaking world, and once the gospel spread out of Israel into places like Corinth, Ephesus, Philippi, and Rome, Christianity became a faith of Greek-speaking people. In Greek, Yeshu’a becomes Lesous, and that is the name we translate into English as Jesus. He came as the Savior of all humanity, and it was not long before even His name reflected this in the language that was, at the time, a global language. Joshua saved his people by leading them into the promised land, and Jesus would lead His people into the kingdom of God. To take the language thing a step further, there is actually no letter J in the Hebrew or Greek alphabets, which is why neither Jesus nor Joshua originally had a J at the beginning of their names. Several hundred years ago, the English letter J was actually pronounced as a Y, which explains how names like Yeshu’a became Joshua. At a certain point in time, they sounded about the same. As the sound of the letter J changed, the spelling did not. Was Jesus an Uncommon Name? The name Jesus stands out to us today as a name that is unique in most cultures. 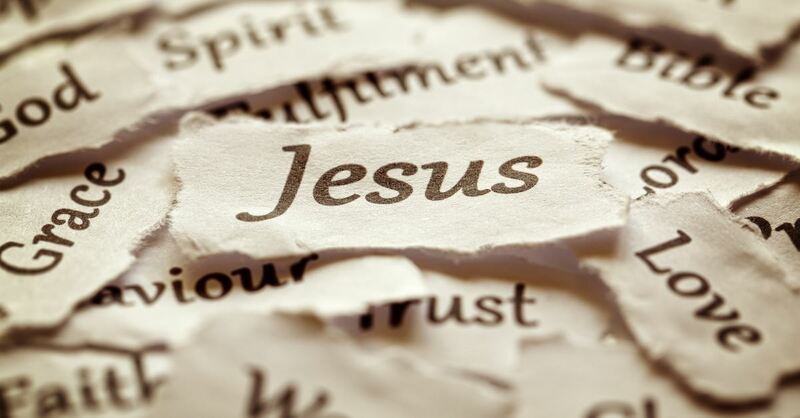 When we hear the name Jesus it generally reminds us of Jesus of Nazareth. When we see a sign that says, "Jesus Saves," or "Trust in Jesus," there is little doubt as to which Jesus that sign is referring to. Yet this was not always the case. The name Jesus was not an uncommon name in the first century but was a fairly common name that did not stand out as it does today. There is even another Jesus listed among the early believers in the New Testament, Jesus Justus, who is mentioned by Paul in Colossians 4:11, “Jesus, who is called Justus, also sends greetings. These are the only Jews among my co-workers for the kingdom of God, and they have proved a comfort to me”. For centuries before the birth of Christ, the true name of God that was given to Moses at Mt. Sinai was considered too Holy and too sacred to be spoken, and so the vowel sounds were left out. One of the ten commandments was to not take the name of the Lord in vain, and so avoiding it all together was seen as a good way to avoid breaking that commandment. This practice left us with the consonants YHWH, which has been transliterated as Yahweh, or as Jehovah (because of the whole English ‘Y’ to ‘J’ thing). Just how the name of God was actually pronounced remains uncertain. To this day, devout Jews will not write out the word God, but instead write it as G-d, for the same reason, because it is a Holy and sacred name, not to be taken lightly. In our modern Bibles, YHWH is typically written out as LORD in all capitals to signify this name. The name Jesus, however, is not like this. Because of Jesus, God is no longer inaccessible and far away, and His very name signifies this. Because of Jesus, we have a great High Priest who can relate to us in every way. Because of Jesus, there is no longer anything separating believers from God. Because of Jesus, we have a Savior who was tempted as we are and yet did not sin. Certainly, Jesus is the name above all names, and the name by which we are saved, but it is also the name chosen by the God who loved us, humbled Himself to be one of us, dwelt among us, and gave Himself up for us that we might have eternal life. Because of the wonderful name of Jesus, the unspeakable may now be spoken, the unknowable is now known, and we can truly live the full, forgiven life that God intended.